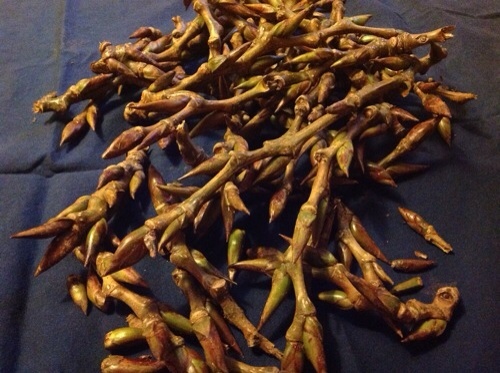 Cottonwood buds, the first harvest of the new year. 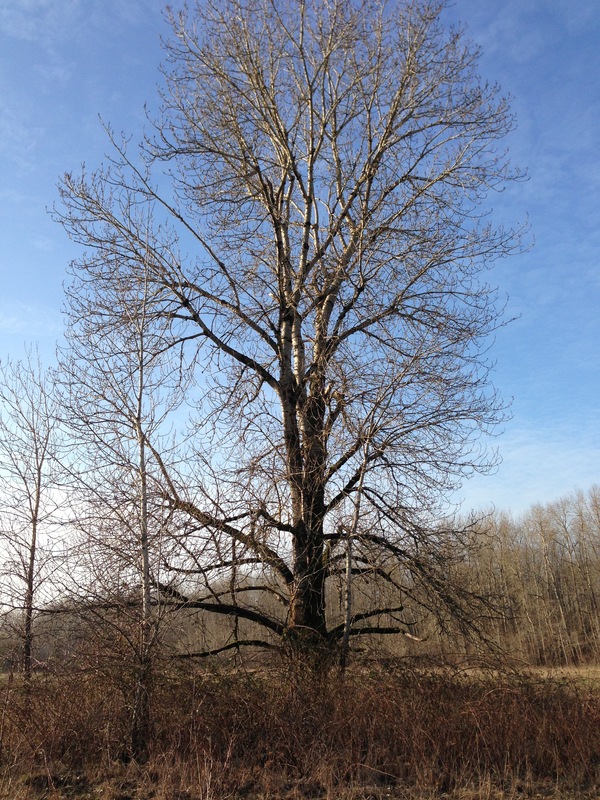 I walked in the cold winter sun out to visit Grandmother Cottonwood. One tall, ancient one surrounded by millions of younger sprouts all interconnected and intertwined under the soft marshy ground of the Sandy River Delta. My fourth year of going forth and gathering the bounty dropped by these giants when they hold their wintry dances in the wild, blowing wind. Water and earth grow tall, hold the riverbank together and then coaxed by the wind throw off gifts for the people. And what sweet gifts they are laying like a pile of discarded antlers on my kitchen table. The resinous buds full of antibacterial and antimicrobial compounds the bark astringent aspirin like. Even the bees know to use this medicine, gathering copious amounts of it to be transformed into Propolis. The thick reddish goop they use to seal their hive against invaders of all sizes. Bacteria, mice, even the wind itself is pushed out. It was a strange sight this time to visit Cottonwood. Blackberry bushes have come back all around the base of the trees making it impossible to sit leaned up against a trunk. For years they had sprayed and dug to try to keep the blackberries at bay, but the most recent approach has been to stop poisoning this piece of land. Human intervention! We just keep changing things. Eventually we must just surrender and let Mother Nature figure out how to fill in the gaps.